Other Movie Reviews - Have Comments? C ritics never seem to learn. Most of Kubricks films had detractors, and his final film, Eyes Wide Shut (1999), was no different. "Its his eyes, Im afraid," wrote Owen Gleiberman in Entertainment Weekly, "that seem to have been wide shut, and his movie that wears a mask." Maybe. But critical opinion has always lagged behind when it came to Kubrick. Look up 2001: A Space Odyssey (1968) in the average movie guide. Most call it an innovative masterpiece and forget to mention that a number of critics hated the film when it was released. Kubricks films have often been groundbreaking, controversial, and misunderstood. But critics who dare to question his artistry usually have to eat their review. Stanley Kubrick: A Life in Pictures celebrates the life and films of one of the premier filmmakers of the last fifty years. Multiple interviews and rare footage piece together the directors life from his childhood in New York to the completion of Eyes Wide Shut in March of 1999, a few days before his death. The films are covered chronologically, beginning with Day of the Fight (a short film about boxing made in 1950), with insight provided by technicians, actors, and producers. Theres also a great deal of praise from directors like Woody Allen and Martin Scorsese, and discussion from family members and colleagues about the myths surrounding Kubricks working habits. It is fascinating, when reflecting upon Kubrick, how many times he made a seminal film. Dr. Strangelove or How I Learned to Stop Worrying and Love the Bomb (1964) accurately portrays the absurdity and the danger of the Cold War by using blistering black humor; A Clockwork Orange (1971) paints an anarchistic portrait of future London, complete with a despicable, though sympathetic, hero. These films have a strange purity, dissecting their subjects in detail, but refusing to directly comment on them. One film defines post World War II paranoia on the international political scene; the other, the paranoia of a sterile society that lacks stable traditions. Both still retain the power to shock viewers with their ambiguity and violence. Many of the powerful images in Kubricks films work so well because of his innovative use of music. A spare, haunting piano melody follows William Harford (Tom Cruise) through the surreal streets of New York in Eyes Wide Shut. These notes reflect the fear that the character senses and the dark mood of world he inhabits. The minimalist score for The Shining (1980) perfectly mirrors the isolation of the Overlook Hotel, and deepens the horror felt by Wendy (Shelley Duvall) and Danny Torrance (Danny Lloyd). A Strauss waltz in 2001: A Space Odyssey adds a poetic beauty to cold, empty space. Stanley Kubrick: A Life in Pictures also gives insight into Kubrick himself, offering a number of antidotes while attempting to dispel the rumors of his more eccentric working habits. This part of the film falters a bit, with everyone basically noting that while Kubrick could be difficult to work with, the experience was worth it. Maybe. But one particular sequence finds the director shouting at Shelley Duvall on the set of The Shining, berating her in a fashion that borders on abusive. If more footage like this existed, it either wasnt made available or director Jan Harlan decided not to show it. Many viewers will probably wonder if Kubrick was really as nice as A Life in Pictures suggests. Kubrick was known to be a very private person, and now, some two years after his death, seems like the right time to release this film. Its also a perfect time to re-assess his art. 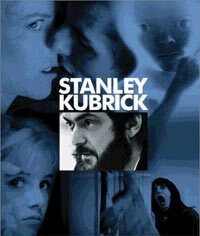 Stanley Kubrick: A Life in Pictures will inspire many, like myself, to take a trip to the video store to do just that. To many, his work stands as a signpost to the potential of film as an imaginative medium. It also puts in place an impossible standard for contemporary filmmakers. Stanley Kubrick: A Life in Pictures offers the viewer a powerful reminder of the originality of Kubricks films, leaving one in awe of the breadth of the his achievements.